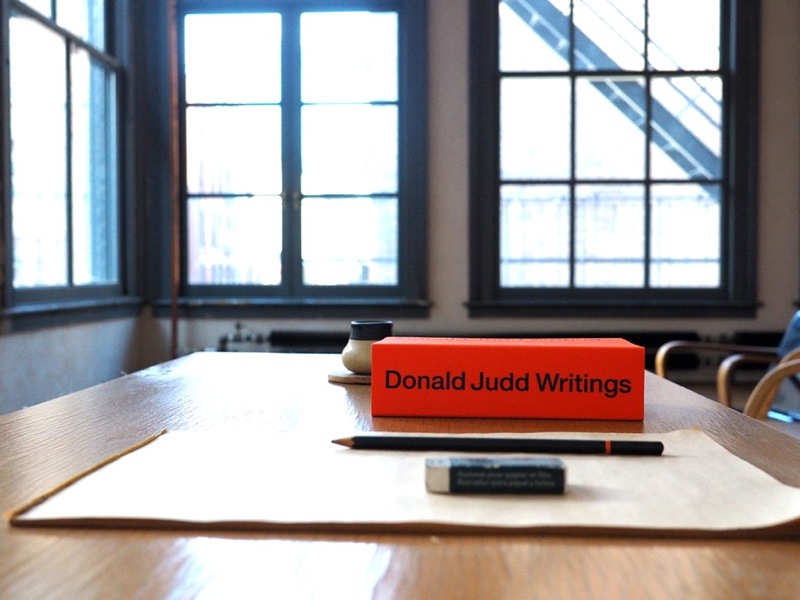 During his lifetime, Donald Judd (1928–1994) compiled four major collections of his writings. These volumes, which include his gallery reviews, book reviews, essays, articles, statements and reports have until now been considered the artist’s written work in its entirety. 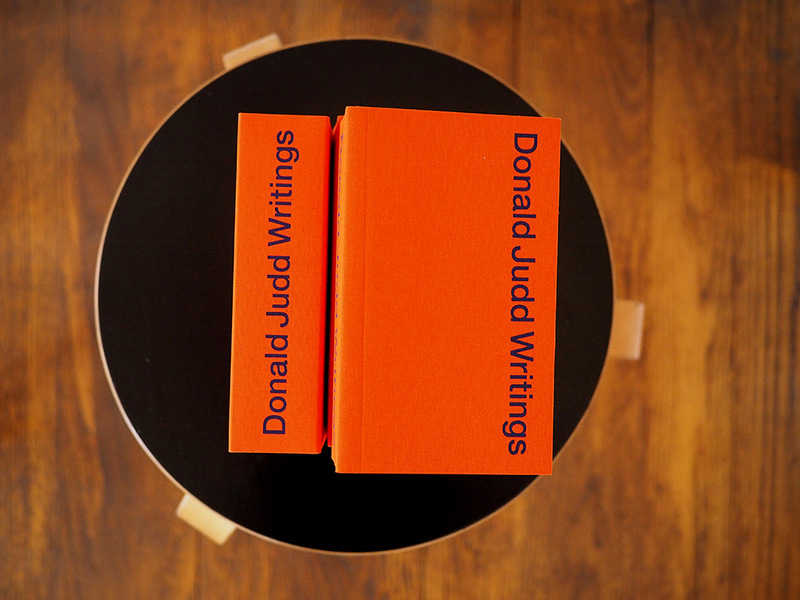 But a new collection, Donald Judd Writings, containing previously unpublished essays and hundreds of insightful daily notes, is now available in a beautiful cloth-bound, brick-like form. 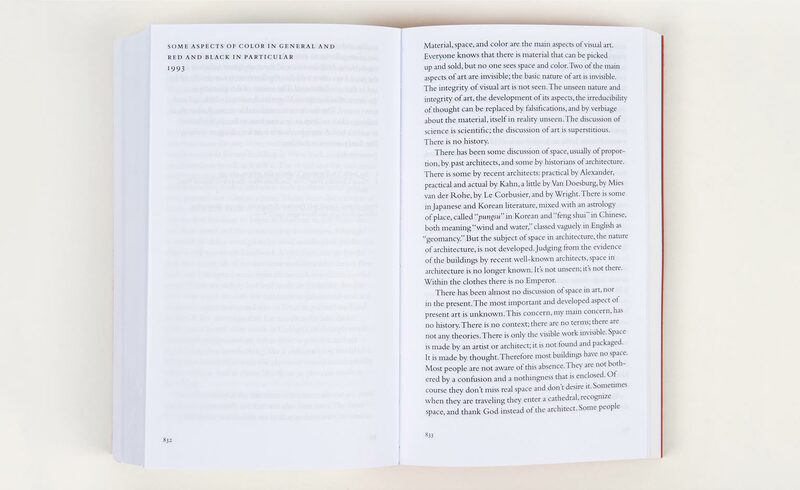 Co-published by the Judd Foundation and David Zwirner Books, it has been in design development for over two years. Since his father’s death, Judd has been back through every piece of the artist’s writing and transcribed handwritten notes (personal musings, opinions of art and literature, political views, criticisms of people and society) that he found in his journals. Dyer says he felt a certain weight of pressure designing the Writings book given its sheer volume, but has come to trust the unique working process he has established with Flavin and Rainer. ‘They like to try a lot of different things and you have to be comfortable with that,’ he says. 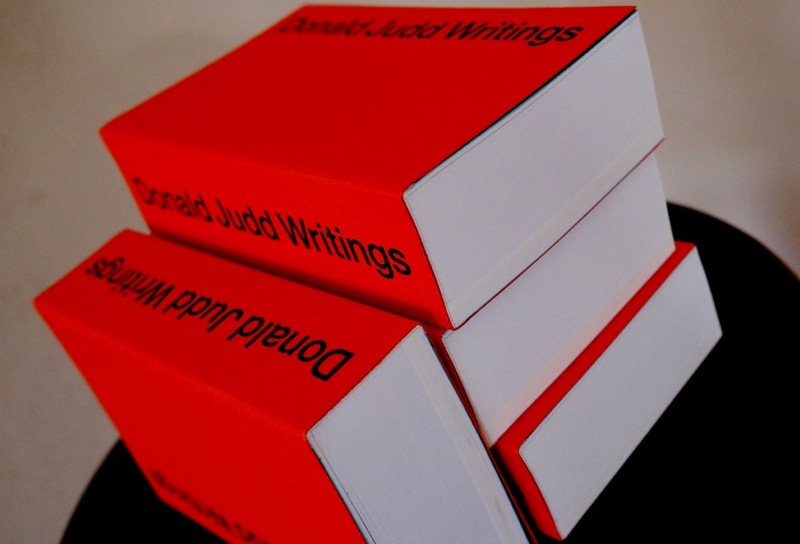 The size of the book was Judd’s idea. He admired Phaidon’s redesigned pocket edition of EH Gombrich’s The Story of Art, published in 2006. ‘I liked the way it was unpretentious, it was compact, it did what it was supposed to do and you could still carry it around,’ he says.